When it comes to making your online audience aware of your brand, visual content is one of the most effective ways to gain their attention. Nowadays, users want information fast and will hold their attention for very little time, the use of images can be used to prevent users simply scrolling past your content. 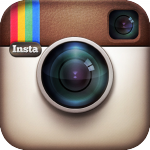 First consider if your organisation is relevant for Instagram; Will your images be appealing? Will you be able to post photos regularly? If your answer to both of those questions was yes then you should already be on this platform. Instagram has become one of the best ways for businesses to appeal to consumers by showcasing their product and creating a relationship with consumers through engagement. To ensure you are using Instagram to its fullest potential, have a read of this ‘Complete Guide to Instagram Success’. When you get good at sharing images on Instagram, have a go at sharing video content which your followers will love. It is easy to effortlessly create a stylish looking blog for your brand on Tumblr and share some great content, however, you need to consider whether your organisation can be effective on this platform. Businesses in industries such as fashion, interior design and technology that appeal to a young audience around the ages of 14-25 can benefit the most by having a presence on this image sharing site. A great example of a business using Tumblr to its fullest potential is Coca-Cola. They have considered the overall theme of their blog page which is kept consistent and used creative images such as GIFs. Pinterest is one of the best websites to share images. It allows a business to demonstrate expertise in their area and can be used as a source of inspiration. It simply involves creating boards around interesting themes and ‘pinning’ photos into them. Users can then re-pin images that they like to appear on their own profile. When sharing images on Pinterest you should remember to create boards that your audience will be interested in. To increase awareness of your business’ Pinterest page, use hashtags and board descriptions including keywords. One company that uses Pinterest well to share images and promote their e-commerce website is Etsy. They have made good use of features such as board covers, map boards and interesting board themes. Facebook posts with high quality images included are more likely to gain engagement than those without. They grab the users attention far better than a text-only post. Something which is invaluable when placed on their feed with thousands of other posts. With Facebook usage trends now focusing much more on video and photo content, it is important to be posting these to your business page. Facebook is also a great social media website to get consumers sending their own original photos by posting them onto your company’s page wall. Sharing photos in this way is also great for social media campaigns such as competitions. Did you know that tweets with images receive 18% more clicks than those without? (Buffer) Similar to Facebook, images and video are popular forms of content on Twitter. Images can also be shared by your audience simply by tagging your Twitter handle. This can greatly boost engagement if the image is retweeted. BT Sport are effectively using visually appealing photos in each of their tweets. They also add their logo to some of the images to keep users reminded of their brand. The consistency and the quality of these make for eye-catching posts around sport. This seems to be working as they are receiving engagement through retweets and favourites. As with both Facebook and Twitter, adding photos to your social media posts on your Google+ business page will be more effective when it comes to getting your posts noticed. Users can add your Google+ page into their circles to keep up-to-date with your posts. Adding images keeps posts interesting and eye-catching. A company which is using their Google+ page well and has over 55 million followers is Dell. They are regularly posting content and all include high quality images. This is a website made for the purpose of sharing images. As well as being used to share personal photos, it is also popular with bloggers as an image hosting website. 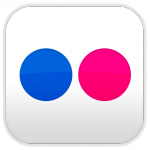 Flickr is effectively an online community where images can be shared and adding to your business’ online presence. Use Flickr to upload quality photos of your product/service or general business photos which can add personality to your profile. Photos of fashion, food and locations are popular themes on Flickr. As an image hosting website, Imgur is a very simple platform to share your images and has a huge amount of traffic every day. This is a great website to share more unique and creative images such as memes and GIFs (even the recent addition of HTML5 gifs). Using Imgur for business would mean sharing content that users may find interesting rather than any content related to selling products/services. The images can then be shared from Imgur using the social media icons with the photo. Although this website is not useful for brand awareness, it can be used to gain engagement on any photo content that you may have created. If your business is in the market of interior design, home improvement, architecture or landscaping then this is a website you definitely need to be sharing your photos on. Houzz is an online community featuring photos of projects, articles written by professionals, product recommendations and a user forum. Organisations can upload photos of projects that they have worked on to essentially share an online portfolio. As it is a community based website, businesses should engage with users by asking questions, featuring other users’ images in lookbooks and following other people. The benefits of using Houzz are similar to Pinterest. It allows a business to demonstrate expertise in their area and provide inspiration. This is a style sharing website for companies within the fashion industry. Photos shared need to include a full length outfit shot and products can be tagged linking back to the original product page. Engagement then comes from users ‘hyping’ the looks (similar to liking), comments and becoming a ‘fan’ of profiles. UK fashion businesses such as River Island, Topshop and New Look are using Lookbook to feature images that Lookbook users have shared where their products have been tagged. Consider the best time of day to share photos in order to optimise reach. For Instagram, use http://iconosquare.com/ to see the best time for your profile. Edit photos or maybe add text to really grab your audience’s attention. If possible, try not to use online stock photos and take your own original content. For editing, https://www.canva.com/ is a great free tool for layout templates, frames, text and more. Creating collages can make use of multiple photos and make more of a visual impact. Instagram have recently brought out their own mobile app ‘Layout’ that can be used to make these. You could add consistent branding by adding your business logo into the corner of every image you use and use the same font for any text added. With an increase in demand for creative and engaging online content throughout this year, sharing quality images is an effective and easy way of doing so. Talk to us If you would like support with using images in a social media strategy to help with getting your business noticed online.